This blog post provides guidance for creating and implementing meta tags, as well as optimizing images for your website. Meta tags are just another piece of the large algorithmic puzzle that Google and other major search engines consider when deciding which relevant results to show users who have typed in a search query. In no way are meta tags a “magic solution” to gaining good rankings in SERPS (Google, Bing, or otherwise), rather they mainly serve to help dictate to search engines and users what your website is about. Meta tags are not visible to users browsing your web pages, they are page data tags found between open and closing head tags in a web page’s HTML code, serving to tell browsers specific information about your web pages. This information then appears in Google’s search engine results pages. Meta tags dictate to search engines what your web pages and web site is about, and for this reason a quality meta description is a SEO requirement. If Google’s algorithm determines a web page’s description is poorly written or inaccurate, Google will display its own version of a meta tag—in most cases, this is not what you would choose to show. It’s best to describe your website to potential visitors yourself to avoid poor quality auto generated descriptions. A good meta description will help improve click through rate of your website—a well-written meta description explains to users what they can expect to see on your pages, and entices them onsite. Think of these descriptions as your search engine results “window dressings”—good descriptions bring in visitors, poor descriptions receive less click throughs and are demoted by search engines in favor of other, better optimized websites. As a general rule, your meta title should be 60 characters long, as that is the length of a Google search title. Your meta description should be 150 characters long for the same reasons. You may choose to include a meta keyword tag to keep track of the phrases you are optimizing for, although many search engines do not recognize this tag. Make sure every webpage onsite has a keyword rich title tag of approximately 60 characters. Search engines allot significant weight to meta title tags, thus they are a critical part of your website’s HTML. Include your search words in this tag. Be sure to add your company’s name to the end of the tag as well. Your 150 character meta description will include your search words and accurately describe your website. 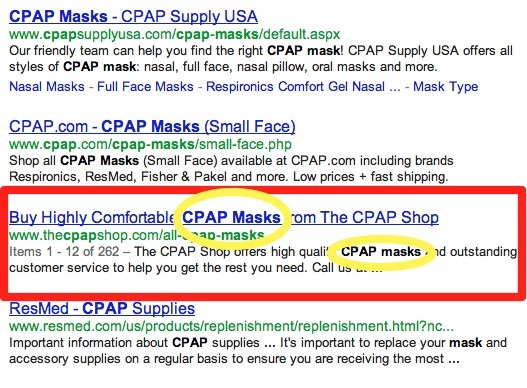 As mentioned previously, the keyword tag is no longer important in the eyes of Google. We encourage every online business owner to add more pictures of projects, illustrations, graphs, and charts to their site. Keep in mind however that it isn’t possible for search engine spiders to read images at this time, they rely on clues from alt text, text used to understand images. To include alt text, you simply add alt=”Alt Text Goes Here ” to your image tags. 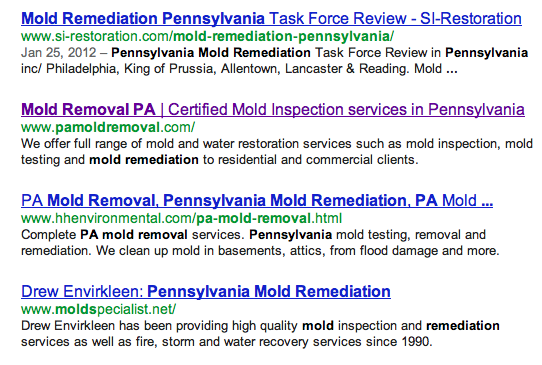 Google indexes images based on text around them, and the description text in HTML image tags. As a rule, avoid graphics that take a long time to load, and excessive flash animation, and keep images under 100KB. Great article, Erica! It will be interesting to see if and when Google will start being able to read images. Good Article ! I will be utilizing these tips when I am updating my code for my website thanks.